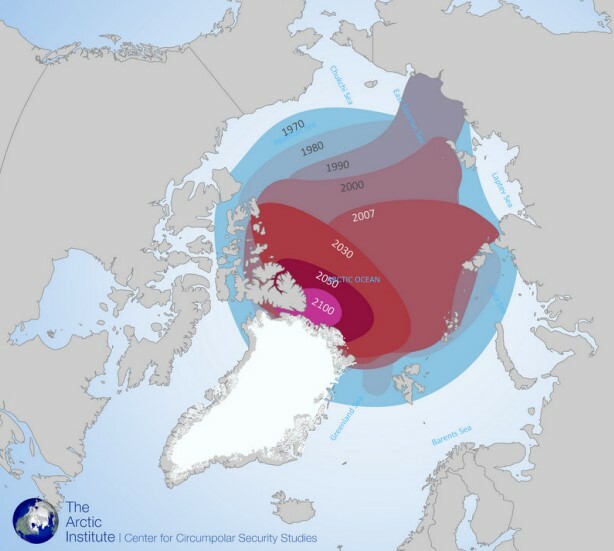 Melting of the polar ice is a major factor which can affect the Northern Sea Route’s fate. According to expert assessments, over the past decade ice thickness has declined by some 13% and ice covered areas – in summer – by 7%. If the trend persists, by 2030 the waterways of the Northern Sea Route will be free of ice for six months instead of three months now. In a more distant future (between 2035 and 2050) the Northern Sea Route will be fully navigable most of the year or even all year round with no need for any icebreakers. By mid century it is expected the route will have no ice in summer, so ships will have several weeks to navigate to the North Pole without icebreakers. Climate scientists believe that icemelting process is accelerating itself. Ice reflects some 80% of sunlight, whereas water, after ice melting, absorbs 90% of sunlight and thus becomes warmer which in turn further accelerates icemelting. The exact forecasts for deicing of the Northern Sea Route and the Arctic Ocean will therefore have to be adjusted again and again. Ice dissolution will in general facilitate navigation along the Northern Sea Route. That may seem to be a great benefit with sea traffic along the route growing, time of navigating along the route shortening, navigation season expanding. Yet there are certain risks as well. First of all, better situation along the Northern Sea Route and respective commercial navigation prospects may motivate some states such as US and EU, to attempt internationalizing the Northern Sea Route. 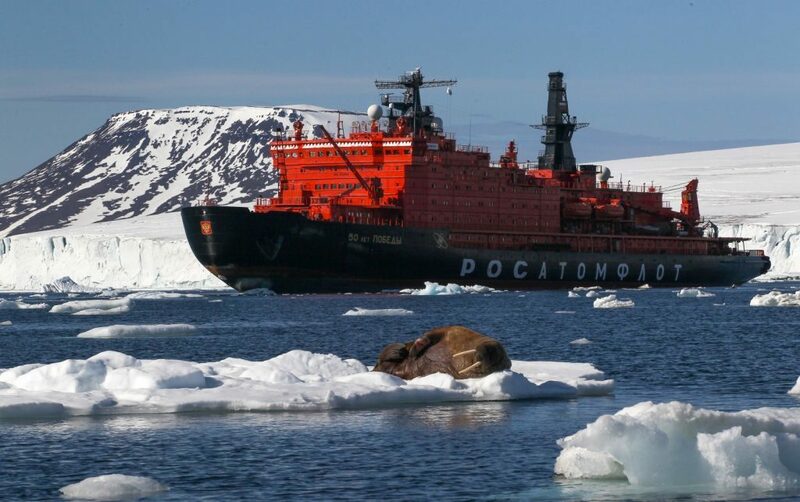 Another problem is, if the waterways of the Northern Sea Route are free of ice, there will be no need in icebreakers, at least not to the extent anticipated now. The fleet of the current icebreakers (including the superpowerful Leader icebreakers which are expected to be built in the next decade) may not fully exhaust their performance potential by the time their use becomes unnecessary or unprofitable. The costs of building the new icebreakers (including superpowerful Leader icebreakers) may be never recovered. A continuous ice dissolution opens prospects for emergence of sea routes in higher latitudes, further to the north of the Northern Sea Route or even via the North Pole. According to some forecasts, the North Pole may be navigable within few decades. Should that be the case, Russia’s significance for sea freight will diminish. China, for instance, is already considering options of commercial navigation in the Central Arctic. Some researchers note that temperature rise in the Arctic may also bring about deterioration of navigation conditions. A warmer climate in the Arctic may cause bad weather, greater number of storms, giant waves up to five meters high. That will result in shipwrecks, plenty of ice floats and icebergs which is much more dangerous for ships than thin and solid ice.